Why...why did it have to go this way? The Orange Justice kid had the perfect story, and now his Mom is throwing a frivolous lawsuit out there. For those who don't know the story, I'll give you a quick rundown. A young man wanted to get his dance into Fortnite. He entered his unique dance into Epic's BoogieDown contest, hoping that he would win and get his dance in the game. The kid ended up not winning the contest, which was quickly met with a ton of backlash from the Fortnite community. Epic heard the complaints and decided to include the kid's dance in Fortnite, calling it 'Orange Justice.' A silly story with a happy ending, or so we thought. 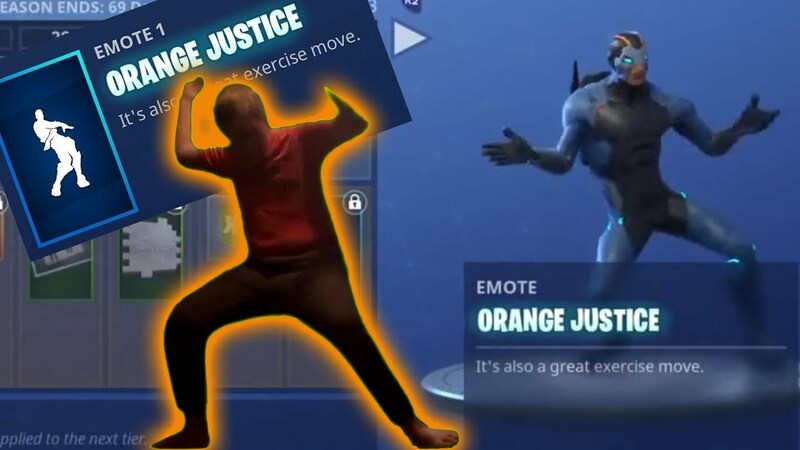 The mother of the Orange Justice kid is now suing Epic for including the dance in Fortnite. She says her son was bullied online because of the dance, and had to close his social media accounts. While that might all be true, the young man submitted his dance as part of the BoogieDown contest, which clearly states that the dance can be used in the game in any way Epic wants. This should be an open-and-shut case. He didn&apos;t even invent the dance. Exactly, someone needs to start suing trolls for ruining the Internet. I KNOW the logistic of that is pretty hard and complex, but we really should be doing more instead of only telling bullied people to become "less of a target"... I was bullied at school, and countless shrinks were all telling me the same thing: "We know you are not the problem, but it&apos;s easier to tell you to change than the others." But that change nothing really. EVEN if I change and I stop getting bullied, they will only change their target. There&apos;s still the same amount of misery in the world, there&apos;s just a little less in my live... And really, I never liked that. One of my biggest problem is that I do care. For a lot of things. Some of which people tell me I shouldn&apos;t, but if everyone cared, it would be so much better for everybody. That topic is just sore point for me. I care and I&apos;m glad that you are here. I hope you keep telling your story in hopes that at least one person stops bringing misery into the world because of it. But it&apos;s not his dance, it&apos;s roy purdy&apos;s dance.